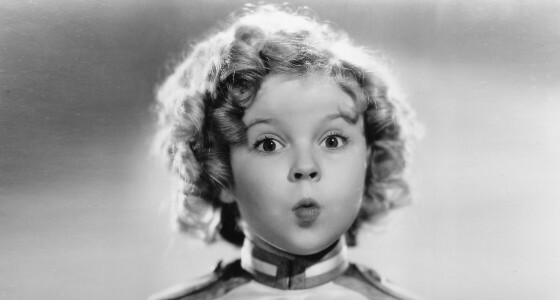 Born in 1928, the sweet-faced, curly-haired Temple was one of the most popular child stars in Hollywood history, getting her first film role at the age of three. Her singing, dancing and acting won over fans worldwide. She was given a special juvenile Oscar in 1935, when she was just six years old. To this day, she is still the youngest person to receive an Academy Award. With the nickname “America’s little darling”, she was ranked as Hollywood’s biggest draw for four years running from 1935 to ’38 in an annual poll of US cinema owners. Her rendition of the song On the Good Ship Lollipop in the film Bright Eyes was among her most famous performances. Her other hit films included The Littlest Rebel, Baby Take a Bow and Little Miss Marker. US president Franklin Delano Roosevelt dubbed her “Little Miss Miracle” for raising morale during the Great Depression and she was also credited with helping save 20th Century Fox from bankruptcy. Temple starred in a total of 43 feature films – but found it difficult to sustain her career in adulthood and left acting behind in 1950. She continued to appear on television, but that work dried up and she eventually stepped away from the spotlight. When she came back into public view, it was in a new guise. Under her married name Shirley Temple Black, she ran for Congress in 1967 but lost. Richard Nixon later appointed her as a member of the US delegation to the United Nations General Assembly before President Ford named her the US ambassador to Ghana in 1974. In 1989, she was made the US ambassador to Czechoslovakia shortly before the fall of the country’s Communist regime. She considered her background in entertainment an asset to her political career. “Politicians are actors too, don’t you think?” she once said.